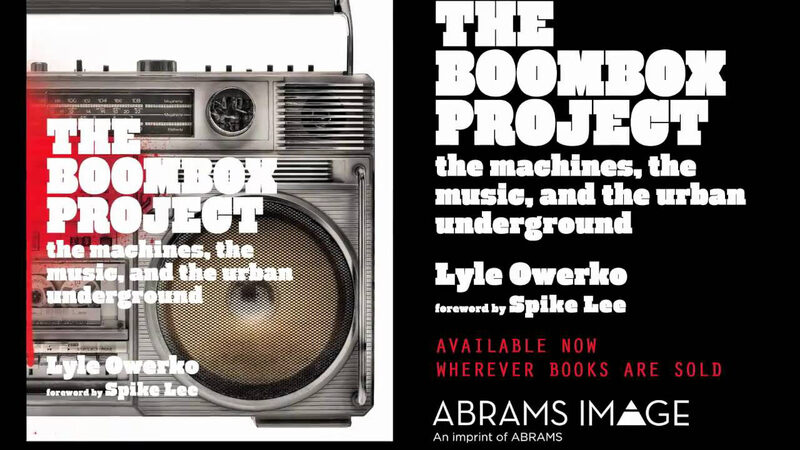 Inspired by the everyday stories of the last remaining survivors of the nuclear bomb attacks on Hiroshima and Nagasaki, Paul D. Miller aka DJ Spooky has created Peace Symphony: 8 Stories. The idea behind this work came from Miller’s personal interaction with eight Hibakusha (被爆者 Atomic bomb survivors) on Peace Boat’s 83rd Global Voyage (Peace Boat is an international non-governmental and non-profit organization that works to promote peace, human rights, equal and sustainable development and respect for the environment) where Miller recently served as a guest educator and artist-in-residence. Hibakusha’s stories highlight the humanitarian consequences of these weapons of mass destruction, educate youth, and help to bring about a nuclear free world. Miller has sampled the words and stories of Hibakusha to create electronic and acoustic musical portraits that resonate with some of the deepest issues facing modern society. 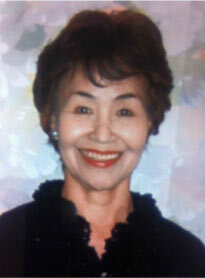 Ms. Hattori worked as a nurse for the Military Medicine Department during the war. 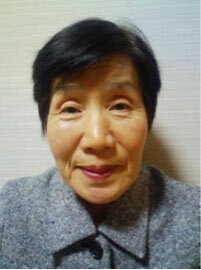 She was exposed to the atomic bombing and lost consciousness 3.5 km away from the hypocenter. She was shaken awake by a Japanese soldier and ran into an air-raid shelter, and for the following several days, without food or water, had to treat the injured and dispose of the dead. Ms. Hattori left Hiroshima and moved around the country after the war ended, but continued to suffer from discrimination and illness caused by radiation from the atomic bomb. Since 1985 she has been giving testimonies at schools and other places to explain the reality of nuclear weapons. 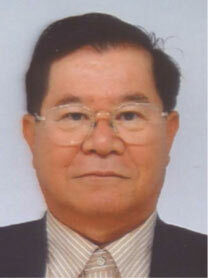 Mr. Lee is a second-generation Korean resident in Japan; his father moved to Japan after Japan’s colonisation of Korea. Mr Lee worked for Japan National Railways at the time and was exposed to the atomic bombing on the way to work. He suffered severe burns on his neck and legs, and his wounds became infested with maggots. Mr. Lee started sharing his testimonies during his participation in the 5th Peace Boat Hibakusha Project in 2012. He has been actively involved in various activities ever since, and notably was invited to speak to high school students in New York as part of “Hibakusha Stories”, a peace education project in the United States. Mr. Sakata was a middle school student when he was exposed to the atomic bomb while working as part of the student mobilization at the Mitsubishi Heavy Industries shipyard, 3 km from the hypocenter. 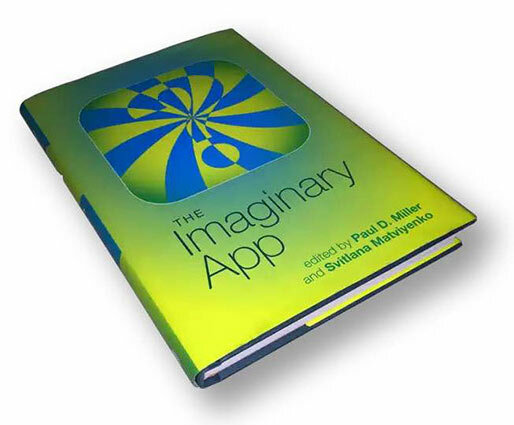 He lost consciousness and when he awoke, he found splinters of window glass sticking to his body and arms. On the following day, he saw the hellish site in the city center of queues of people suffering severe burns, and charred bodies floating down the river. He suffered from various illnesses after the war ended. He continues to give his testimony, and has also established a non- profit organization and works on community revitalization. 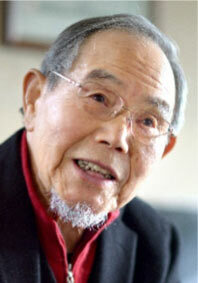 Mr. Mise was exposed to the atomic bombing at his house 3.6 km from the hypocenter, when he was playing the organ. He instinctively covered his eyes and ears and lay down on the floor before he was hit by the bomb blast. Luckily, all his family members survived the bombing. 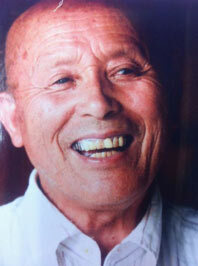 Mr Mise has volunteered to guide students on school trips to a-bombed ruins over 20 times each year since 2003. He places a strong emphasize on talking about the value of life and peace when speaking to post-war generations. 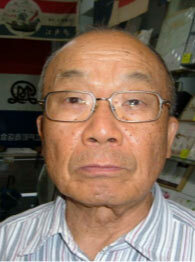 Mr. Hakariya was at his house 3.8 km away from the hypocenter when he experienced the bomb flash and blast. He sought refuge in an air-raid shelter nearby, avoiding further exposure to radiation. After the war he taught in high schools for 36 years. Participation in the Peace Boat’s 2nd Hibakusha Project in 2009 was the starting point for him to begin telling his story. Mr. Hakariya joined the Nagasaki Foundation for the Promotion of Peace to give testimony, and continues to talk about the true nature of nuclear weapons to young people, traveling also through Southeast Asia and around the world to do so. 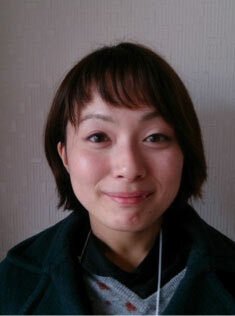 Ms. Sakashita was exposed to the atomic bomb at her house, 1.4 km from the hypocenter. The bomb blast knocked her down, and she was injured including a cut on her forehead when a piece of timber with a protruding nail fell on her. She evacuated with her family, escaping through a sea of fire and was exposed to the “black rain,” heavily contaminated radioactive rain. For a long time she had not actively given her testimony; however since participating in the 2013 Hiroshima Peace Memorial Ceremony as a representative of the families of war victims, Ms. Sakashita began to speak out in order to pass on the memory of the hardships endured by her mother. 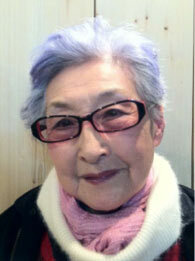 Ms Sugino was exposed to the atomic bomb at her house, 1.3 km from the hypocenter. Although she and her mother were trapped under the collapsed house, a neighbor helped them and they survived. Her elder brother, who was drafted into the military as a student, died in an explosion near the hypocenter. Her elder sister also passed away 20 days after the bombing due to severe burns. Ms. Sugino was too young to have a clear memory of the bombing; however, she is a member of an organization of atomic bomb sufferers in Tokyo who record testimonies given by other survivors. In 2012, she started giving testimony herself with the help of her mother’s memories. Ms. Nakamura was exposed to the atomic bomb at her house, 2.3 km from the hypocenter. While she was in junior high school, Ms. Nakamura started to become concerned about the influence of radiation exposure when she learned that her mother carried her on her back when she returned to the city centre to look for missing family members. To date she continues to fear the inter-generational effects of radiation, as her eldest daughter suffers from a thyroid gland disorder. Her experience of giving testimonies so far is limited, but she is active in other ways. For example, Ms. Nakamura visited New York to submit a petition calling for the abolition of nuclear weapons to the United Nations in 2011 upon request of Hiroshima City. 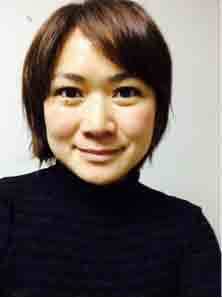 Ayumi was born and raised in Kochi Prefecture, Japan. After graduating from high school, she moved to Canada and studied theatre at the University of Victoria. She is currently an actress as well as a backpacker travelling around the world. She first visited Hiroshima and heard the testimony of a Hibakusha when she was in Grade 6. Later, during her stay in Canada, she found out that her host mother’s mother was a Hibakusha, who had written and published poems based on her experience of the atomic bombing. Ayumi recited these poems at the lantern festival in Victoria. In 2008, she performed Inoue Hisashi’s play “The Face of Jizo (Chichi to Kuraseba)” in class, and later took it to the annual Fringe Festival. She believes that the lesson from Hiroshima, Nagasaki and Fukushima is that “it is obvious that nuclear weapons and power cannot coexist with human beings. It is time to call for the abolition of both nuclear weapons and power.” Ayumi decided to be part of this voyage as she firmly believes that youth should also be able to share the message of the Hibakusha. With three keywords – “Interest”, “Imagination”, and “Dialogue”– she hopes to leverage her skills and experiences as an actress to pass on the memories of the devastating effects of nuclear weapons, and involve other youth through interactive theatre performances. Nao grew up in Hiroshima, and her grandfather was exposed to the atomic bomb. Since she was a child, she has had many opportunities to hear Hibakusha’s testimonies. As a high school student, she led a civil society group called “Connecting Hiroshima and Nagasaki Project”. She also participated in a week-long field trip to the Marshall Islands, interacting with the local people and learning about the damage caused by the nuclear tests. 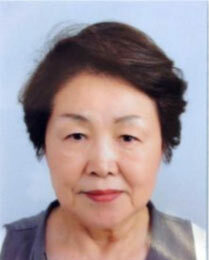 She entered Hiroshima University in 2011, where she has been actively involved in initiatives related to the preservation of Hibakusha’s memories. In 2013 she was part of the team organising the event to mark the 40th anniversary of “Barefoot Gen (Hadashi no Gen),” and was also involved in “8.6 One Night”, aiming to “start thinking about how to commemorate 6 August 100 years from now”. This event was held simultaneously in Hiroshima, Tokyo, and Ishinomaki (one of the areas most affected by the 2011 the Great East Japan Earthquake and Tsunami). She has always felt that she did not want people to feel that the atomic bombing is ‘someone else’s story’. It would be even worse if, because the memory fades away, humans repeated the same mistake of using nuclear weapons. In order to achieve a world without nuclear weapons, Nao feels it important to disseminate the message of Hiroshima to the world, and this motivated her to join the voyage. She wishes to spend time talking with the participating Hibakusha, understand their beliefs and philosophies, and think of ways to disseminate their message that are easy to understand, resonate with a wider audience, and respond to the demands of the times.